Show before/after screenshots, not a ranking tracker. I wanted to share a new tip that we have started doing with our clients that will help you dive even deeper into demonstrating ROI for your clients. Let’s call this tip number six. 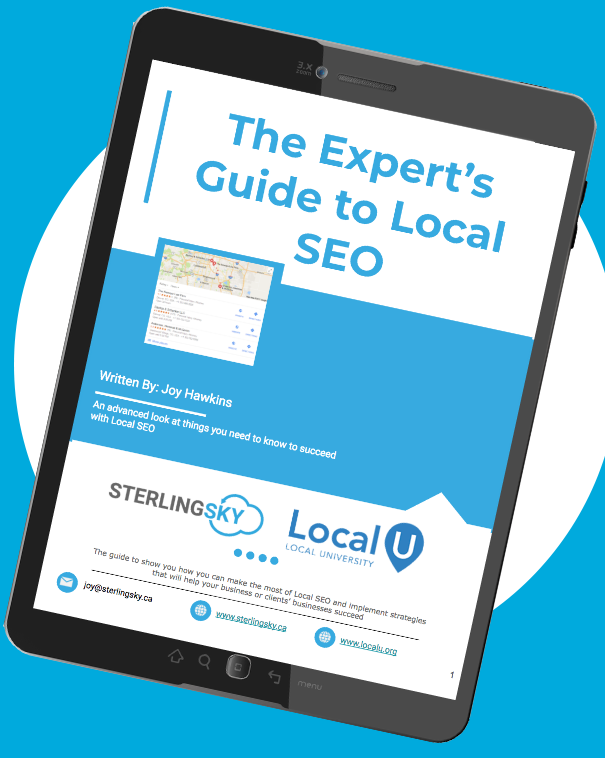 In this recent article on StreetFight Magazine Mike Blumenthal talked about how “There is an enormous opportunity for agencies to really help these small businesses by moving beyond SEO. For example, it would not just be about getting reviews—it would be helping the SMB handle complaints and review responses”. This is a profound insight. There are all kinds of strategies similar to this one that an agency can do in order to deliver value beyond the SEO itself. 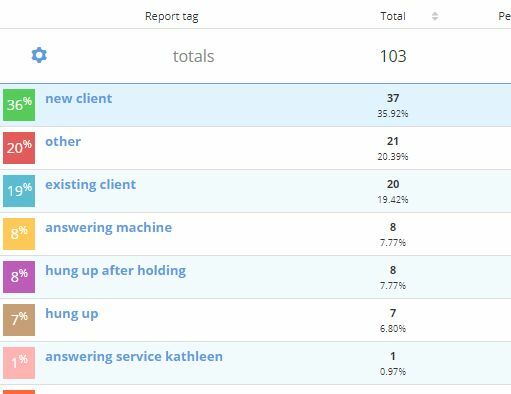 One of the things that we have been doing for our clients is not only reporting on the volume of calls they receive, but also taking it to the next level and reporting on the quality of the phone calls. Labeling calls is a great way to add additional value for your clients and gain more insight into the quality of the leads that they are receiving from your efforts. I’m going to walk through our exact process for analyzing, labeling and reporting on call quality. We use Call Tracking Metrics but this process can be done with Call Rail as well. As a baseline, we do this for a client one to two times per year but can be done on a quarterly basis as well depending on how many phone calls they tend to receive. Disclaimer: Never listen to your clients calls without their consent. If call tracking is used, the client should be the one to own the account and set it up. After you have created your taxonomy, step one is to listen to the calls and setup a system to label them so you can create a filter for your reports based on the labels that you apply to the calls. 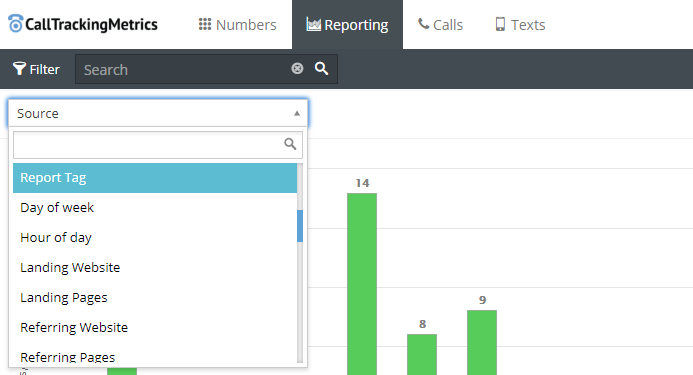 Now that you have labeled all of the calls you can create a custom report. This report is what we send to our clients and we always follow-up with a phone or video call to go over everything and discuss the insights. Creating these reports gives us an opportunity to offer our clients additional insight into the calls that we are driving from our efforts. For example, if the client is telling us that their sales are down and we notice that 30% of the calls are going to voicemail or hanging up, that is insightful information to share with the client. One example of an incredibly valuable insight that we uncovered for a client that I wanted to share happened last month. Our client let us know that they had recently hired a couple virtual assistants to help out with answering their increased call volume. As we were listening to the calls we discovered something that was having a major negative impact on sales. One of the virtual assistants was asked a simple question from potential clients on multiple calls” “What practice areas and type of cases does Mr. Smith take on?” Mr. Smith (made up name) is a personal injury and criminal attorney. And what was the VA’s response to this question? It was “I am not sure. But I will double check and get back to you”. You better believe that these potential clients ended up choosing another law firm. We reviewed this with our client and he was able do some training with his staff to correct the issue. Now that’s what I call going beyond SEO and instead becoming a partner to the businesses that we work with. Are you providing this type of insight for your clients? What other types of things do you do to go beyond SEO for your clients? GREAT article. Can I ask what software you are using in these screenshots? Thanks Paul! Fireshot and Paint. Good article. I was also thinking about changing our SEO reports. Can you please say the name of the call tracking software you are using? We use Call Tracking Metrics. As I mentioned in the article you can do this process with CallRail as well. Sounds like a good strategy but here in the UK we’ve been complying with GDPR and I’m not sure if we would be allowed to listen to client’s calls as that might be construed as a data violation. What’s your views on this? Good question. It all depends on the type of business you are working with. You will need to have that discussion with your clients on a case by case basis. Not sure if I”m replying because there’s no visual indicator (to Caroline) but you are on the right track. Wondering how this plays out around the world because for one, I’m in California and it’s not legal to record someone’s call without notifying them no matter what. There are many states in the US that are like that also but many that are not. I’m not sure how that all works in Canada but I would think there are laws around that also. I for one as a client wouldn’t be too happy at an agency recording my calls to a business I’m contacting without my knowledge. Lots of things to be aware of when doing this because while unlikely, there could be some trouble with this. Just wanted to clarify that the accounts are set up by the business (not us) and they have full control and access to it. We also tell them to login and listen to the calls and they have complete control over if they are recorded or not. I would never advocate for doing something illegal 🙂 I would also never advocate for not disclosing this type of stuff to the client. If call tracking is used, the client should be the one to own the account and set it up. I’ll have Colan update the article to be more clear on that. reporting on quality of calls is not something i really hear about. Without a doubt a way to impress and retain clients. Thanks Andre! Just make sure to have the conversation with the client and get full permission to listen to the calls. Maybe I am missing something. Call tracking is pretty standard in our field. I had concerns initially with NAP confusion. But that has been assuaged for the most part. I’m surprised by the concern in the comments about listening. Thought it was typical, for customer service/sales training. Now I wonder about the legality and practicality of this feature of call tracking as we go into the future with GDPR. Sterling Sky is my go-to source for info on local, call tracking, etc. I will be interested in your insights into our work and GDPR into the future. Hey Jennifer, that’s a great question. It will be interesting to see how call tracking is impacted in the future. For now we make sure to be extra cautious that whoever is listening to calls has permission. Hi, thanks for a great article and podcast on Local U. I use dynamic number insertion with Callrail, on a few client’s websites, but it doesn’t track all calls. I’m curious if you track all calls, and what method you use. We usually have separate phone numbers set up for each Google source. 1 for AdWords (onsite), 1 for the AdWords Call Extension & Location Extension (offsite), 1 for GMB (offsite) and one for Google Organic (onsite). To piggy back off Evan’s question, so do you mean you use a different number for GMB as opposed to the site? My main concern is NAPS consistency. We use to port our client’s main number into our tracking system but have gone away from this because of the sheer number of calls and minutes. Now what we want to do is designate one number that we will use for all online channels, so website, GMB, Yelp, FB etc. Curious to what you guys have done. Yes – we do use a different number for GMB. We move the regular phone number to the additional phone line inside Google My Business and put the call tracking number on the main line. You won’t need to worry about NAP consistency if you do it that way. Hey Jason, saw your note and I am considering porting a clients main number to track all calls but am concerned about cost. Regarding your note about designating one number to Yelp, GMB, FB, and website. If you do this I don’t think the tracking software will be able to tell you which online channel the calls are coming from. Maybe I’m wrong but curious to hear any feedback.